Avalon Instruments M-Uno Dual mount with StarGO and Fast Reverse mount is a portable single arm fork mount devoted to deepsky imaging with a photographic load capacity of 20 kg (25 Kg visual). 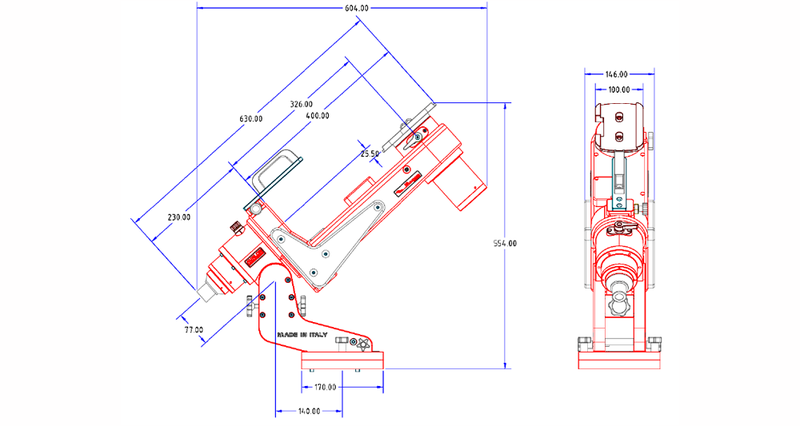 It features Fast Reverse technology, computer aided design (CAD), high quality manufacturing with digital control 5 axes CNC machines (CNC + CAM) and absolute quality materials (anodized aluminium from milled monobloc, stainless steel components and screws, brass components, techno-polymers). In the picture left shown with optional T-POD 110 tripod. Motion transmission technology is based on pulley-tooth belt without play, while its peculiar geometry makes easy the imaging at the meridian crossing regardless the typical problem affecting the classic german equatorial mounts, for both the risk of touching the tripod and the need of waiting for the object cross the meridian. With M-Uno mount, an object can be finally tracked all night long! Moreover, considering that at the meridian the sky is less subject to light pollution and to atmospheric turbulence, the M-Uno is the ideal tool to shoot deepsky objects in their best conditions, close to the meridian, especially when the time is short and the sky is not so dark and clear. The M-Uno is mainly designed for astroimaging also with high focal length catadioptric tubes (such as Schmidt-Cassegrain, Maksutov, RC, Cassegrain, DK, etc) up to 10″ aperture and 20 kg (44 lb) weight, according to the tube length. It is possible to use the M-Uno with Newton optics (for example 8" f4) and even with short refractors (400-500 mm), with a piggyback or parallel guidescope. 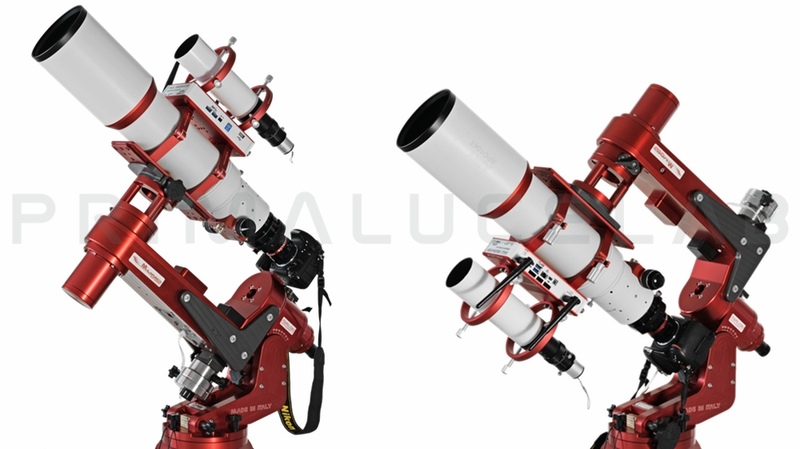 To allow the use of refractors with length exceeding approximately 500 mm, an optional accessory has been realized allowing to distance the telescope from the mounting flange in order to allow the passage over the RA axis. 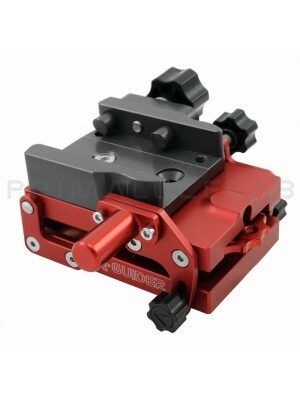 It is also available a special kit that, in addition to distance the telescope from the mount, allows the housing of a small guidescope obtaining also a better telescope balancing. With this configuration it could be necessary to perform the telescope inversion at the meridian passage in the case of the telescope striking the tripod. Another M-uno basic advantage is that it doesn't need neither counterweights, nor the bar. 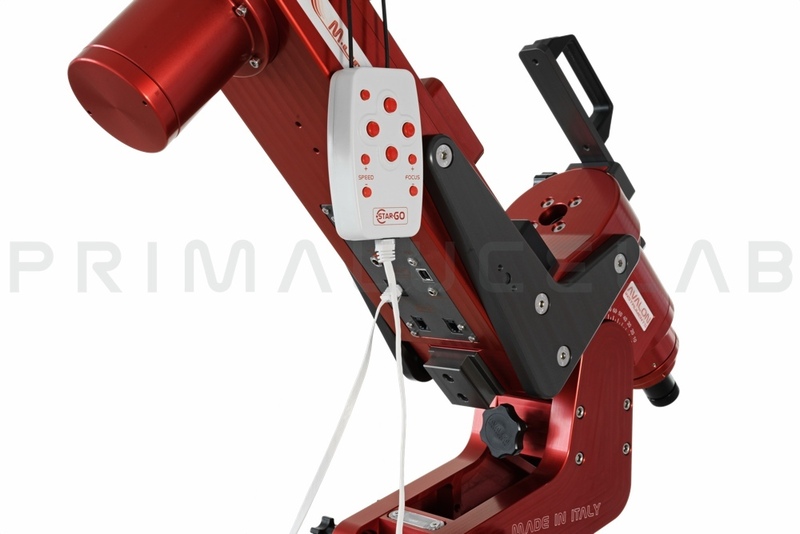 Its declination axis can be quickly balanced like in an equatorial mount, while, for the RA axis, it is possible to fix the arm on three possible positions and to make the fine balance using a very small counterweight. The M-uno mount is equipped with the StarGO control system. The M-uno total weight is only 14.9 kg (11 lb) and it is provided of a confortable handle for easy transportation. With these features, in terms of lightness and transportability, the M-uno ranks at the top of the mounts with capacity up to 20 kg (44 lb). This choice has allowed to obtain several advantages: a really steady motion without play (no backlash) and sudden peaks, factors of paramount relevance for long guided exposures and during high magnification visual observations. These features are of particular relevance especially for the declination axis motor that can now quickly reverse the motion without breaks to recover the plays: from here the name FAST REVERSE. The toothed belts used in the M-uno have the structure made of special material with steel strands to avoid any deformation, elongation and stress, much better than those used in the automotive engine distribution system (which are generally made of rubber with nylon strands). Considering that the service time for the automotive toothed belts is around 100.000 km (60.000 miles), assuming a medium regime of 2.000 rpm and thermal stress from 0 to 90°C (30 to 195 F) in a few minutes, we can think that the life cycle of the M-uno toothed belts will be extremely long! It is important to underline that in the gear-worm systems the motion transmission has only one tangent point of contact, any errors on each of the two components will, sooner or later, result into a tracking errors. On the contrary, in the pulley-toothed belt system, no direct contact occurs between the pulley and the motion is transmitted by the belt engaging from 50% to 90% of the girth surface. Consequently any error, eventually present, is averaged among the cogs, moreover soft, greatly reducing the tracking error. These features allow the M-uno to perform guided exposures up to 20-30 minutes with punctiform stars even with optics of 2-3 meters of focal lenght. No wearing effects since no relevant frictions occur. In fact, all the pulleys and the axes rotate on roller bearings, 13 for the RA axis and 13 for the DEC axis that allow to reduce the total friction almost to zero. Another significant advantage of very low frictions is that the risks of motor slipping during GOTO operation is virtually null. On the contrary, it is well known the difficulty to regulate the coupling between gear and worm in the conventional mounts. If the coupling is tight the motors can stuck with consequent loss of the position, if the coupling is too loose the plays increase. On the other hands, the absence of significant play in the M-uno makes the initial calibration of guiding CCD quick and easy.